All fitness classes are taught by fully qualified and highly experienced instructors. 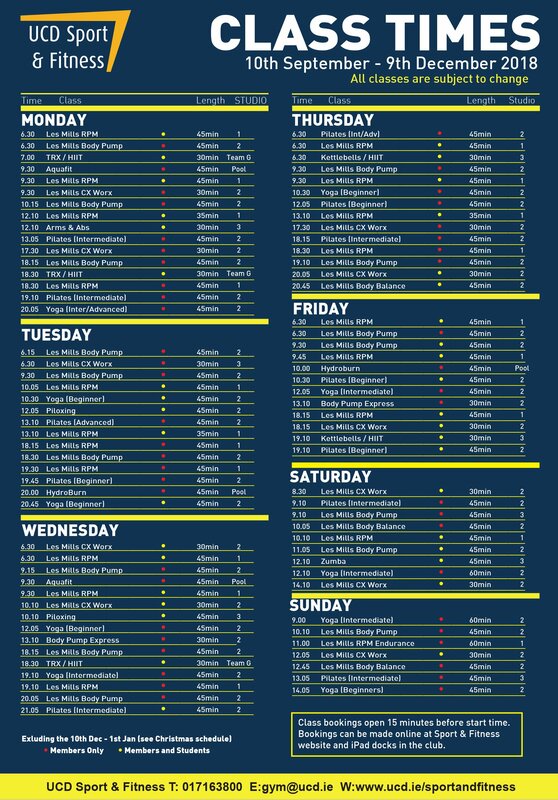 With over 140 FREE classes per week available to members there is something for everybody at UCD Sport & Fitness. 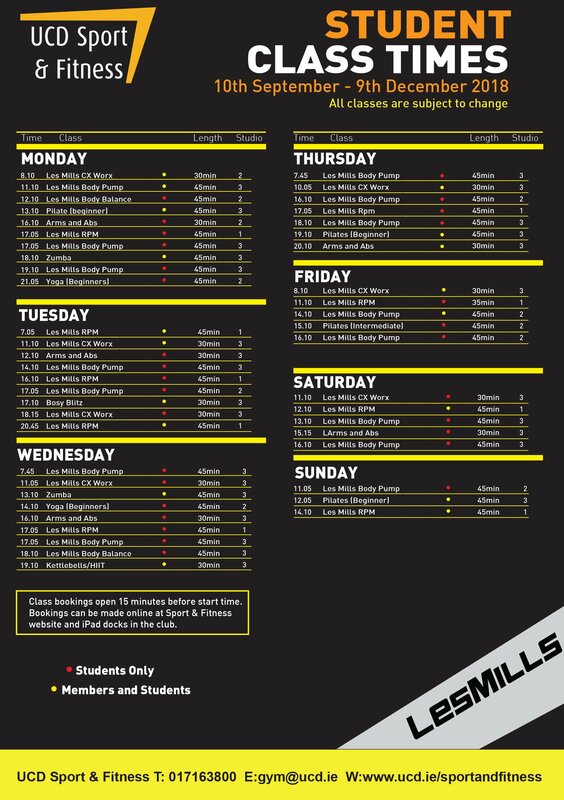 To zoom on class timetable click the image.